The 440 attendees also saw a 2-1/2 minute video about AZGS and our history, produced by Mike Conway and Jordan Matti at AZGS. We'll post that on the AZGS website. I was honored to be able to represent the organization and our dedicated staff, both present and past. It's satisfying to know that our work is deeply appreciated by our constituents. 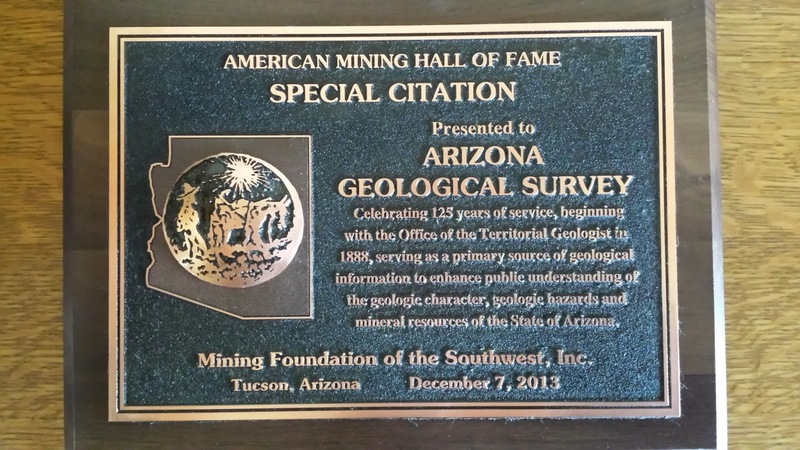 Congratulations to you Lee and the AzGS!! Well deserved. Congratulations to you and all of your staff!!!! What a nice honor and well deserved.